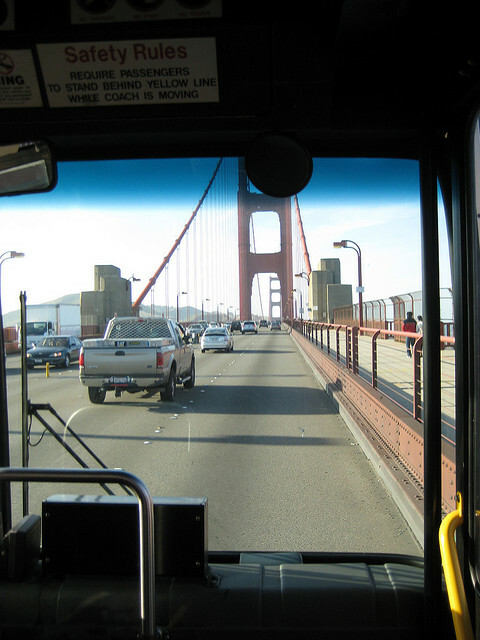 Have you ever had a reason to take Muni to Marin? We’re not talking a simple crossing of the best bridge in the world* here. The 76-Marin Headlands was a rarely used, always behind schedule route that ferried humans across the great expanse and deep into the nether regions of the Marin Headlands (thus the route’s designation). Now, SFMTA has thrown this poor route a lifeline, last weekend establishing the spiffy, revamped 76X-Marin Headlands Express. See what they did there with that name? 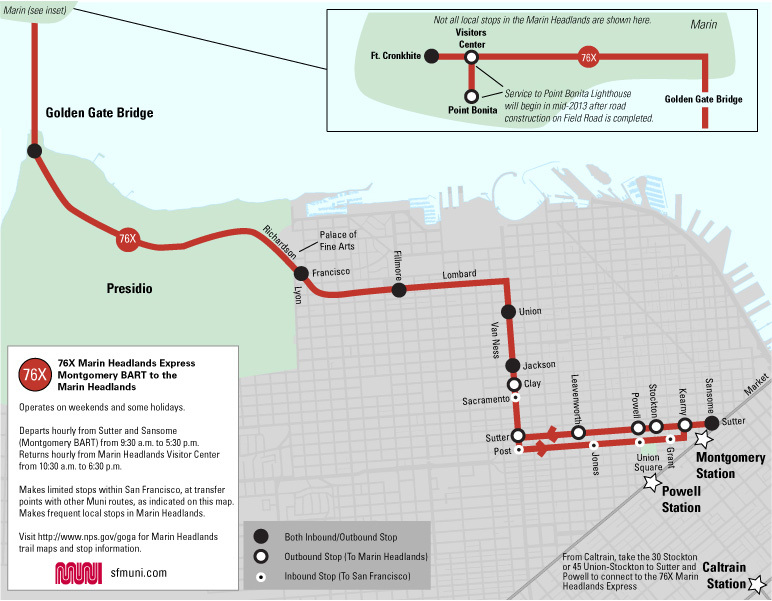 The 76x is expected to shave 15 minutes off the run between downtown San Francisco and the Headlands, with 19 fewer stops. The route’s SF terminus will be moved from the Caltrain Station at 4th and King Streets to Market and Sutter Streets. On the other end, the line will extend three-quarters of a mile to the Point Bonita Lighthouse. And lookie there: Someone went and set up a Facebook page for the new Muni line. Thanks for the tip, Michael! * Not up for debate. I think this is a great enhancement. I’d looked in to taking the 76 before but the insane number of stops downtown and not actually getting all the way out to the lighthouse were the two biggest drawbacks.